PDF format is good for creating non-editable email copies. If you intend to create a backup of emails that cannot be modified, convert them into PDF file. 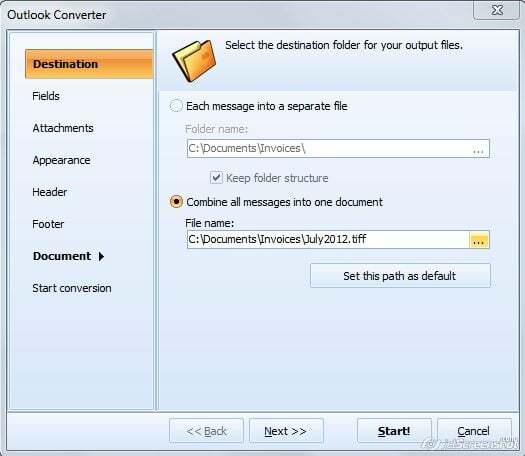 Common converters export each message into separate PDF document. 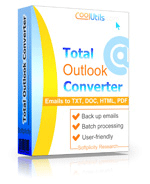 Total Outlook Converter processes messages in batch and can convert all of them into one multi-page PDF. This way you will make your local email storage maximally compact. 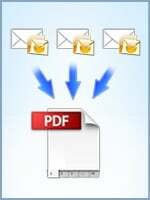 Emails in PDF copy will be sorted similarly as they are in your mailbox. 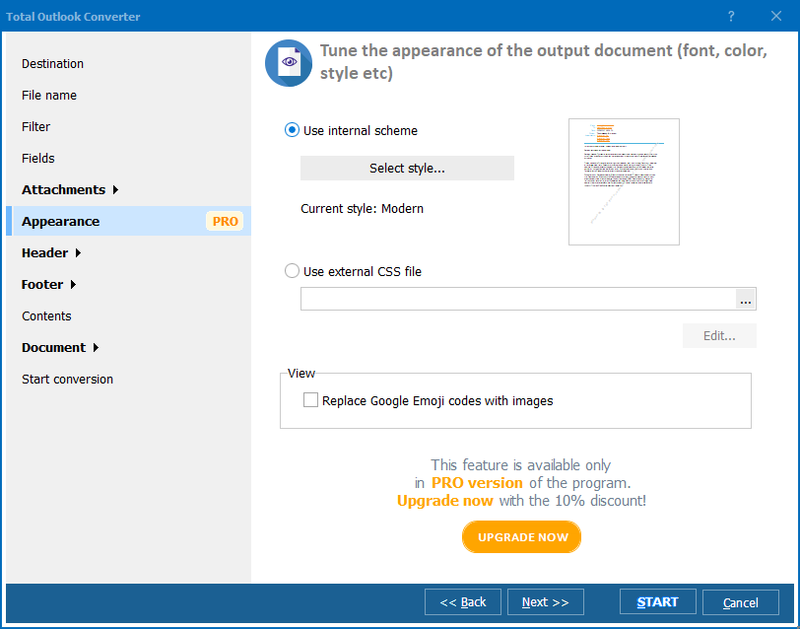 By default the program will convert each message into a separate PDF. For switching the combine mode you need to check the proper option in the 'Destination' tab of the settings wizard. The wizard appears after you select the emails and press PDF in the format bar. This is not the full list of parameters you can setup. When you do an email backup, it would be very useful to put a date into header or footer. You will always know when PDF copy was made and whether you need to update it with new emails. You can also add page count, if there are a lot of messages in this multi-page PDF copy. 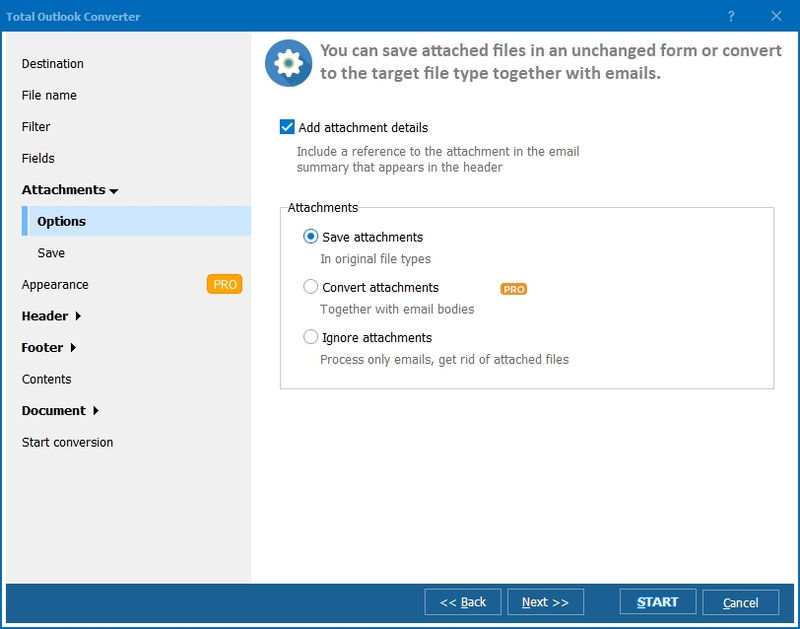 Total Outlook Converter has a useful add-on: attached messages can be converted to PDF together with original email body. It helps to store the complete mail history. You can setup margins, paper site and even PDF compression. All these settings are optional, no need to use them if you want a pretty basic PDF copy. Just make sure the program is switched into Combine mode, and that's all. 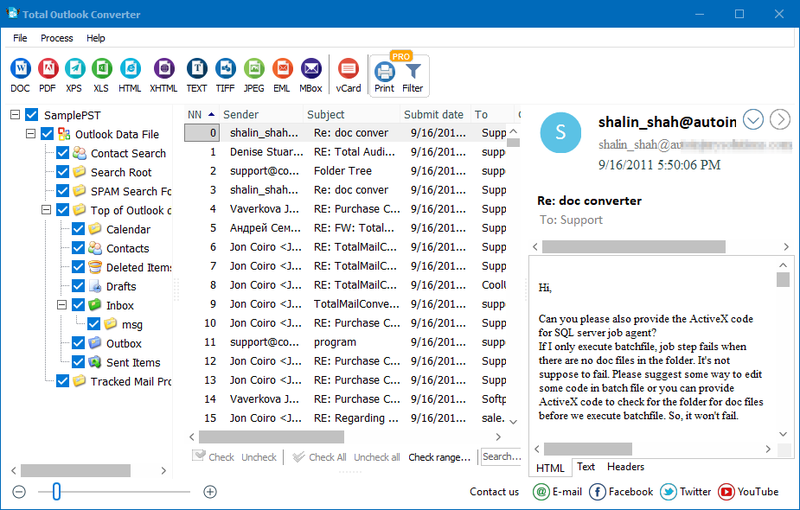 Test full version of Total Outlook Converter without registration - get it here!